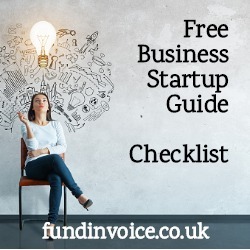 The following business startup checklist is a high level list of the issues and items you need to think about when starting a new business. It is not in any order of importance and some of the items on the list are at a very high level, so there may be a number of subsidiary issues that you have to address under any of the following points. However, it should give anyone starting a new business some general guidance as to the issues that they should have considered and addressed where they are relevant. Is your idea unique or does it have something unique about it? Target market and target market segments identified. Confirm market demand via research or testing. Pricing tested with your target market. Business ownership, investors and partners agreed. Shareholder or partnership agreement in place. Business name decided and website and name for corporate structure available. Business structure decided and corporate entity established. Stationary arranged e.g. headed paper, compliments slips and business cards. Sales and marketing plan written. Including consideration of the use of the following: Advertising; newsletters and social media, direct marketing, telemarketing, networking and business contacts, internet based marketing, customer mining, public relations & exhibitions. Staff requirements established and recruitment planned. Also consider the need for: Payroll, health and safety, premises, staff benefits, pensions and data protection. Premises requirements. Also consider need for building and contents insurance, in addition to public liabilty insurance. Equipment requirements addressed e.g. IT, telecoms and other equipment, plant and machinery. Financial projections prepared. Variation scenarios modelled and acceptable. Cash flow forecast prepared and sufficient funding in place to meet peak requirements. Do you need to register for VAT? (Value Added Tax). Bookkeeping arranged and accounting package set up. Including invoicing format. Insurances considered e.g. premises related, liability related e.g. public liability, employers liability and professional indemnity. Website and printed marketing materials in place. Licencing and regulatory requirements addressed. This could include sector specific trading licences and data protection registration and data protection processes.